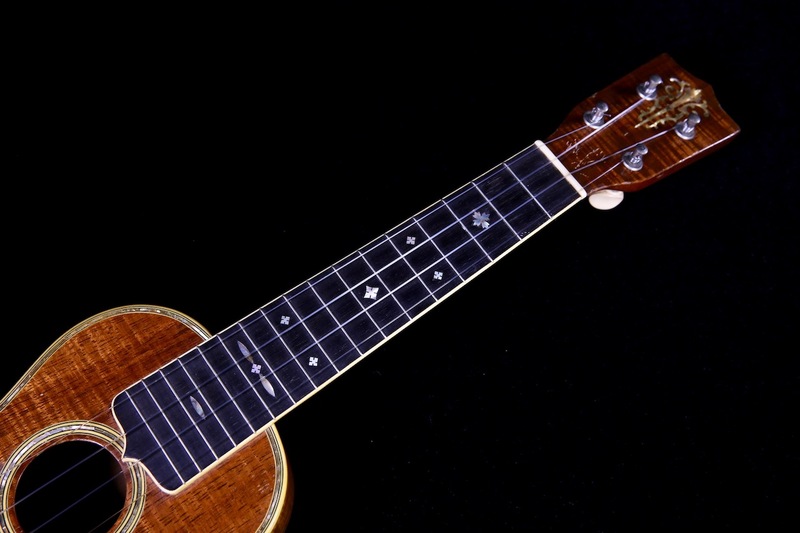 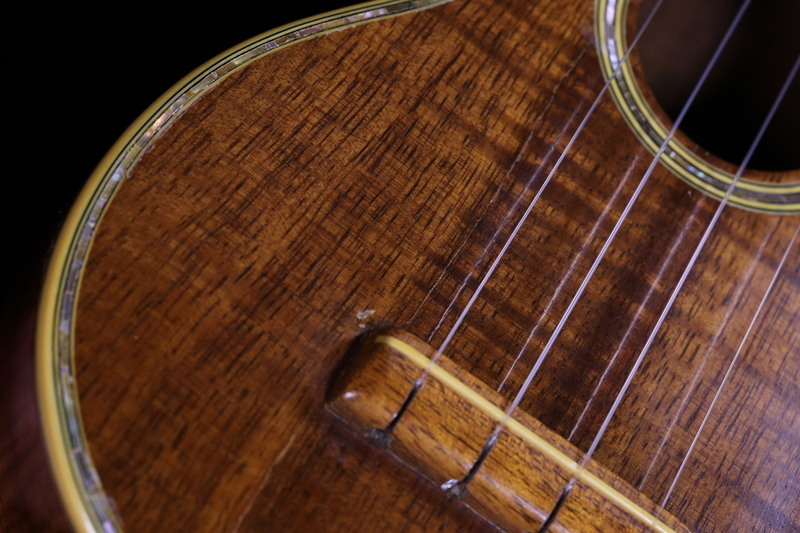 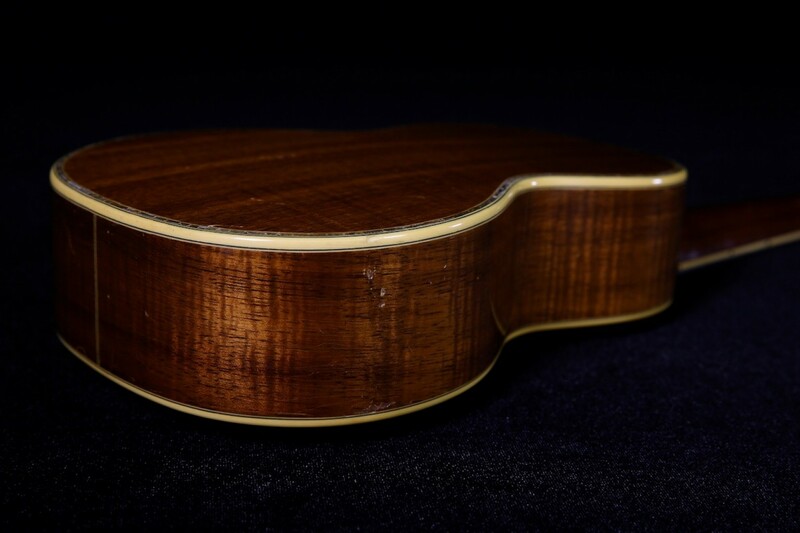 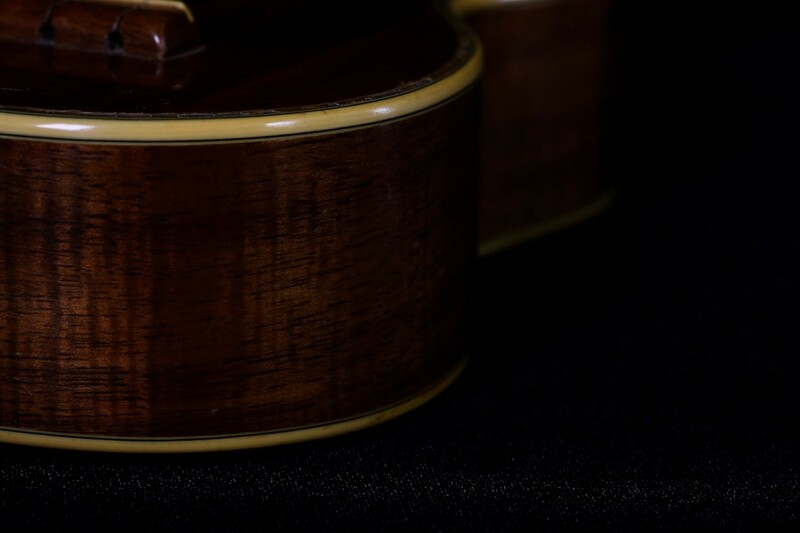 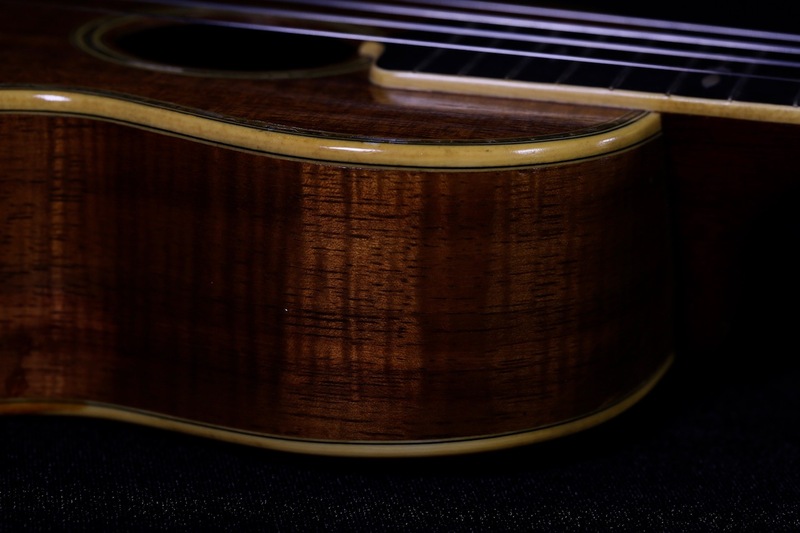 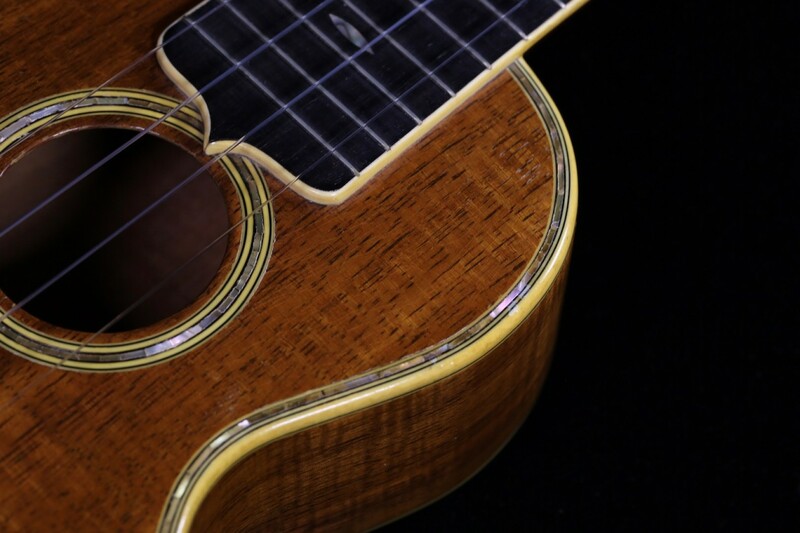 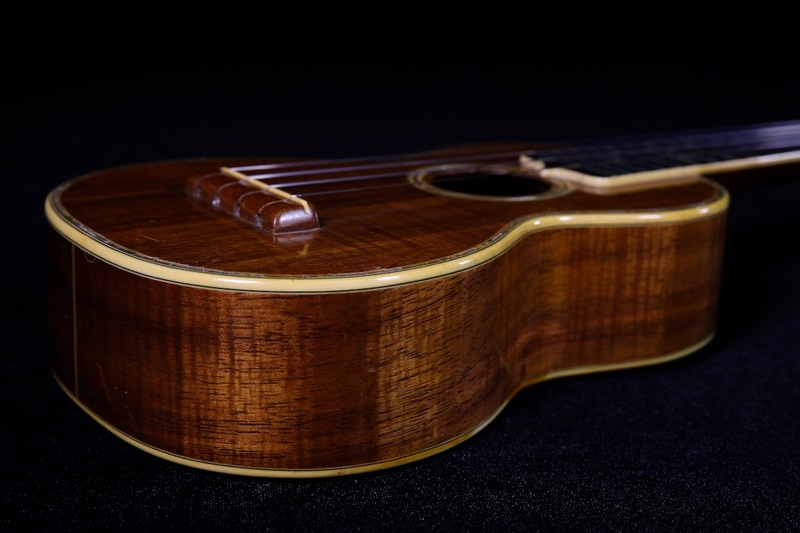 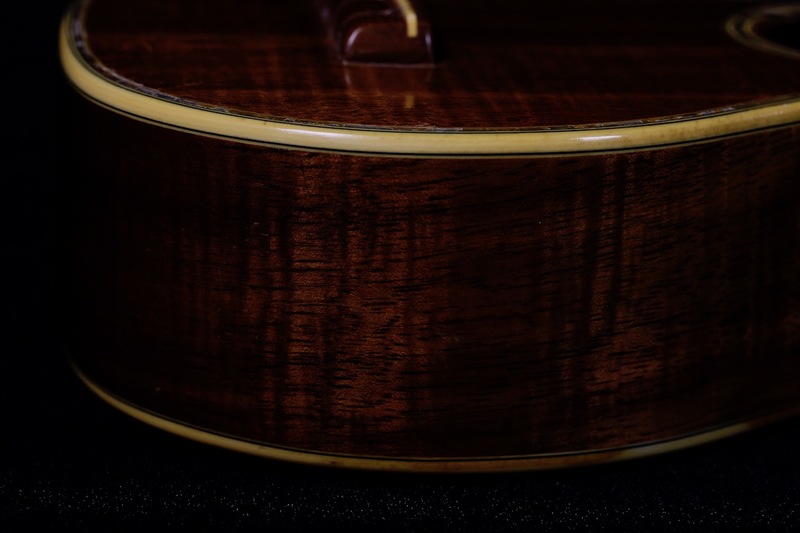 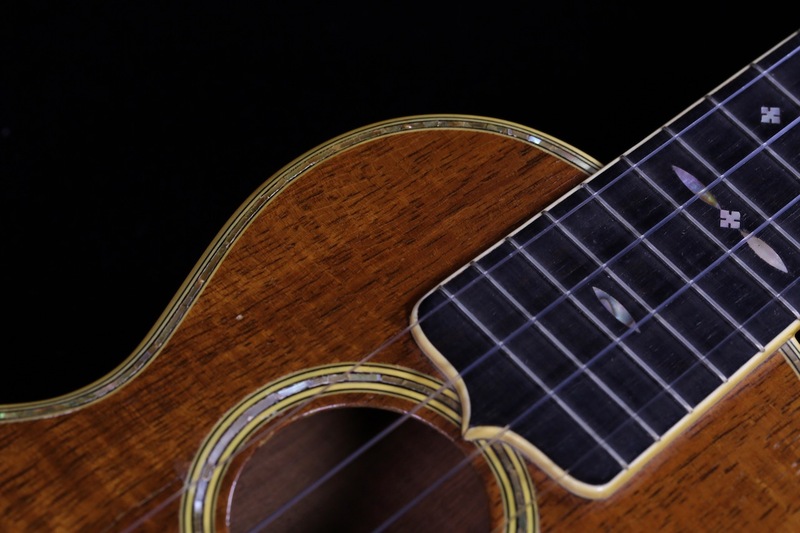 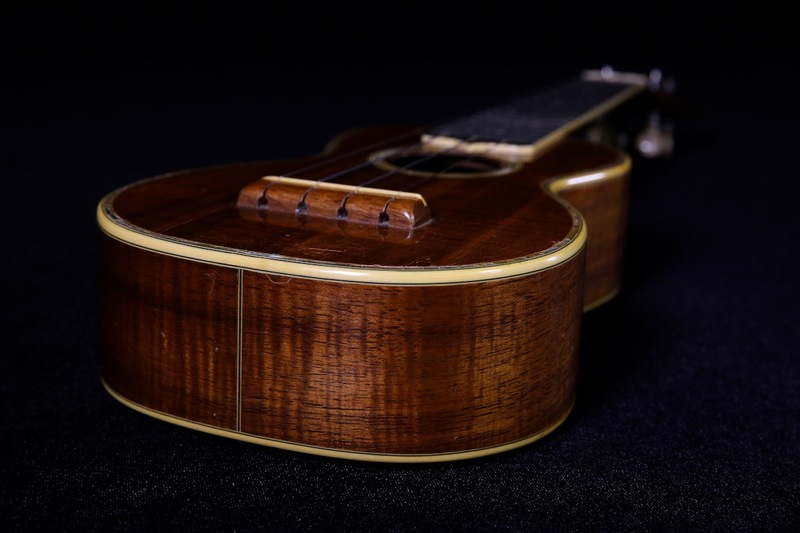 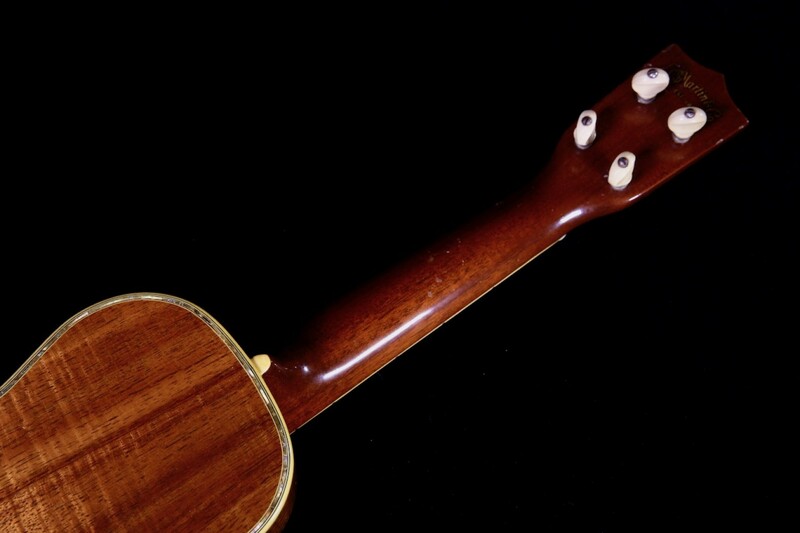 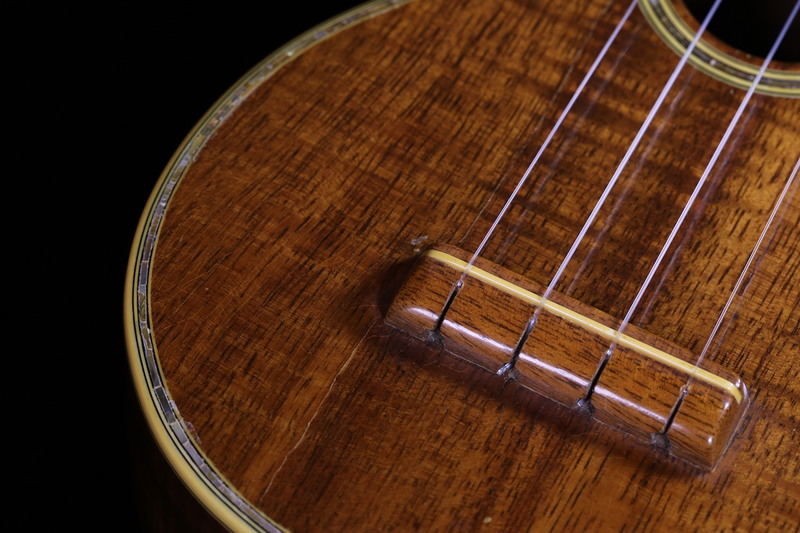 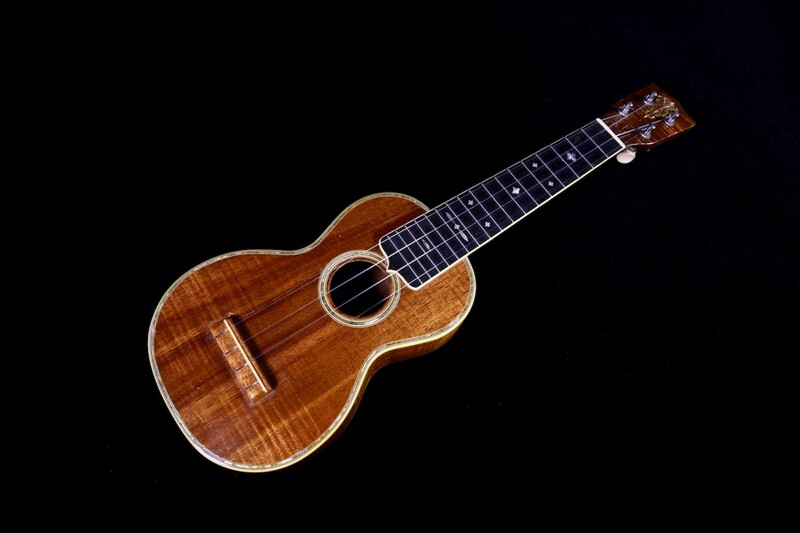 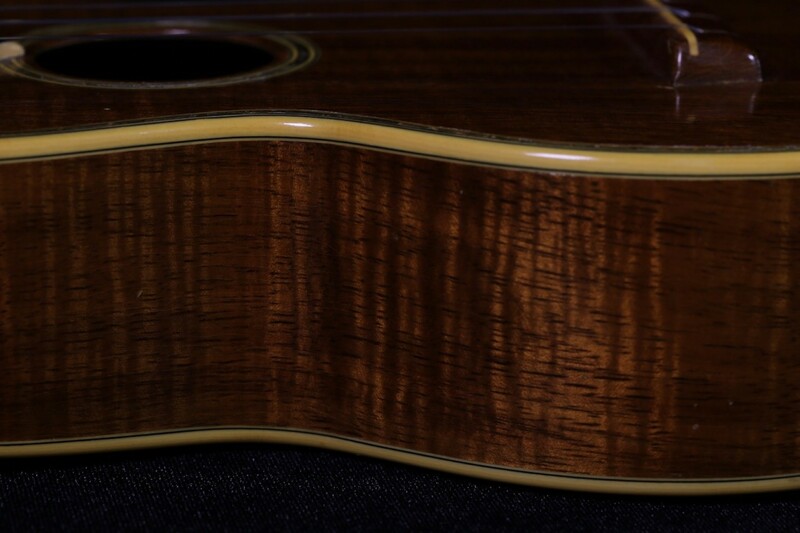 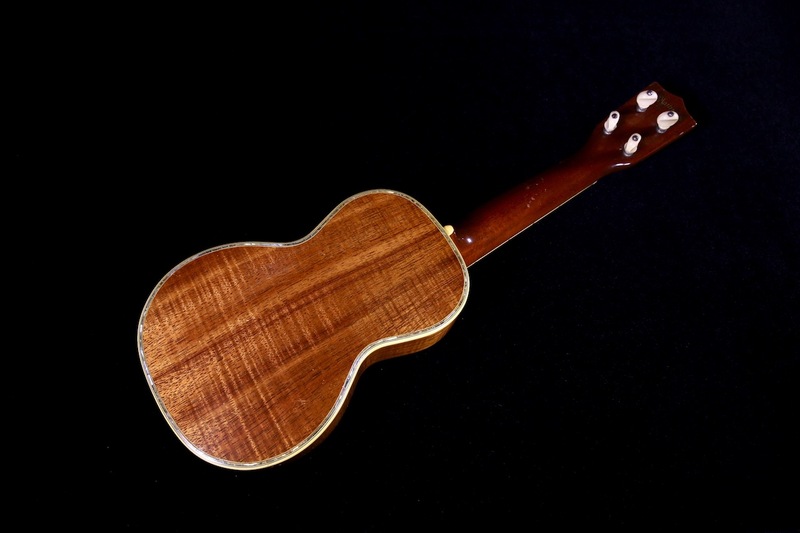 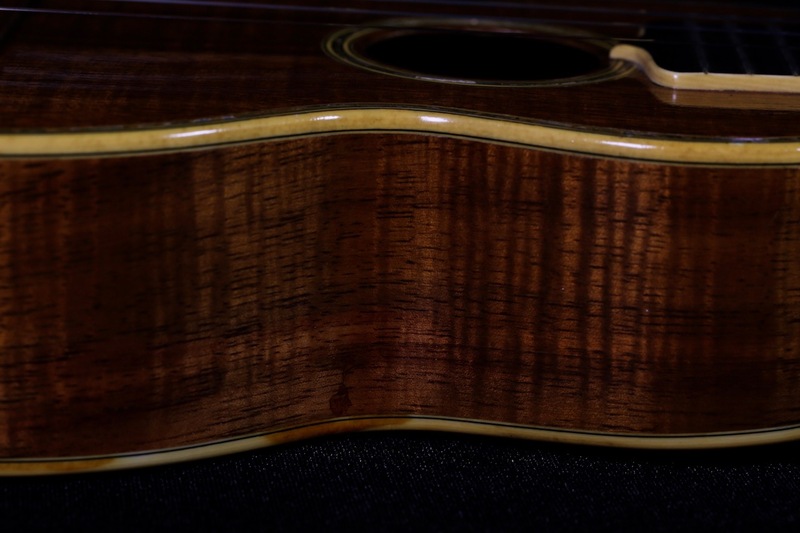 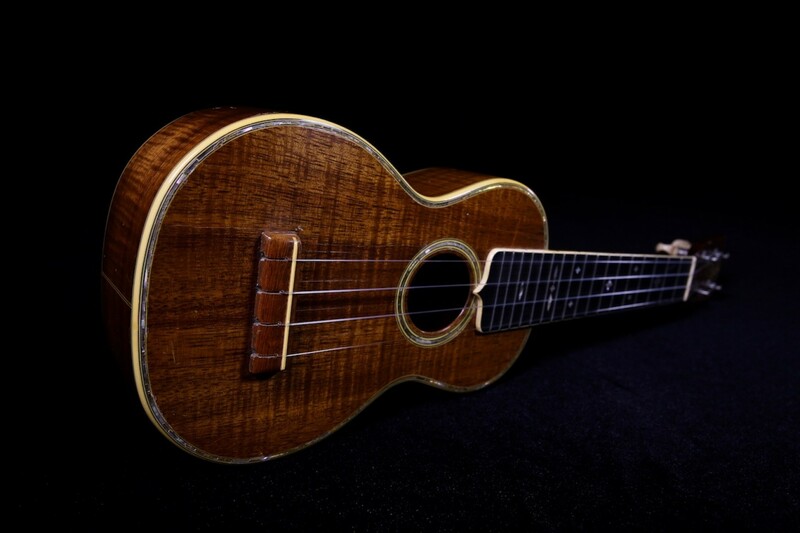 The legendary 1930s vintage Martin 5K soprano ukulele. 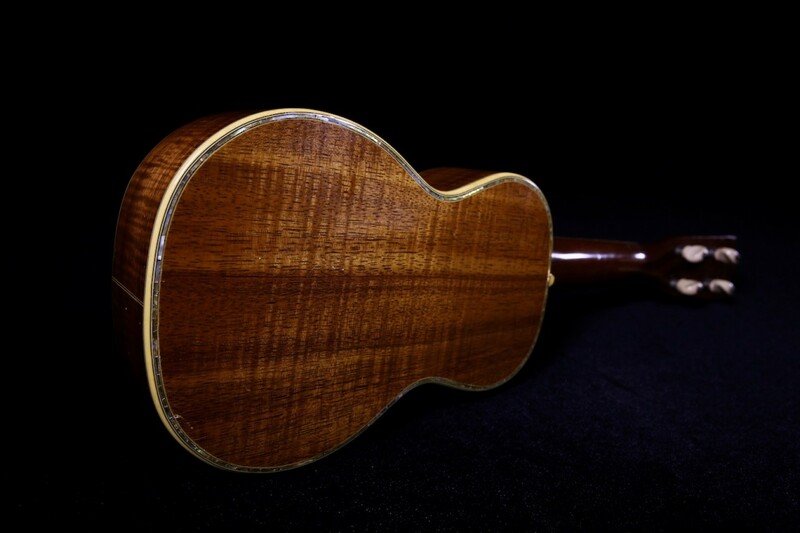 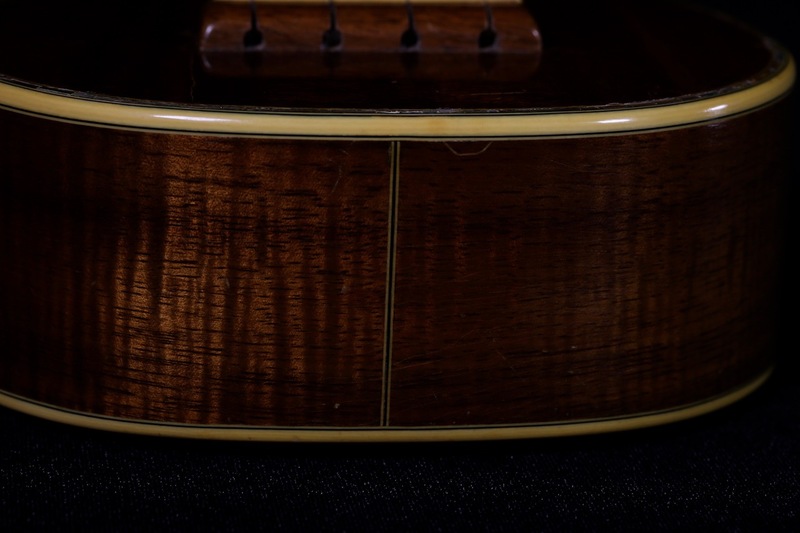 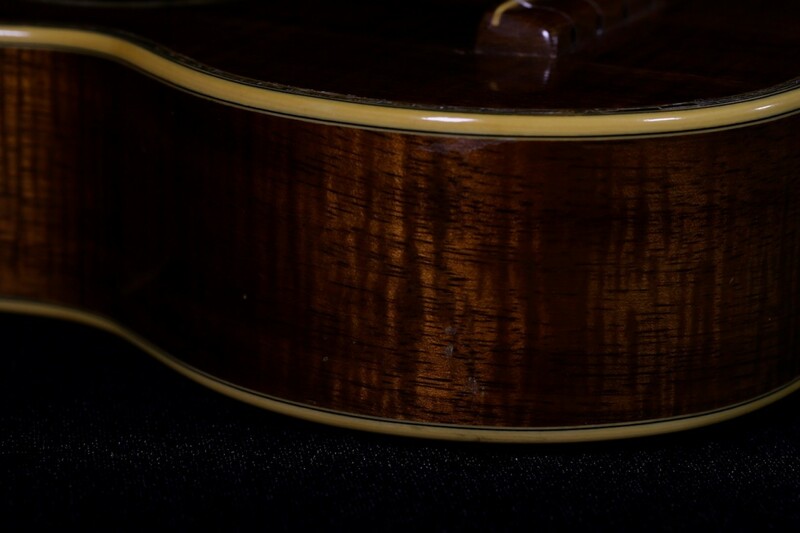 Incredible craftsmanship and a true piece of history for C. F. Martin & Co.
Gorgeous Hawaiian curly Koa front, back, sides, and head cap; this wood was especially brought in from Hawaii in the early 1930s to the C.F. 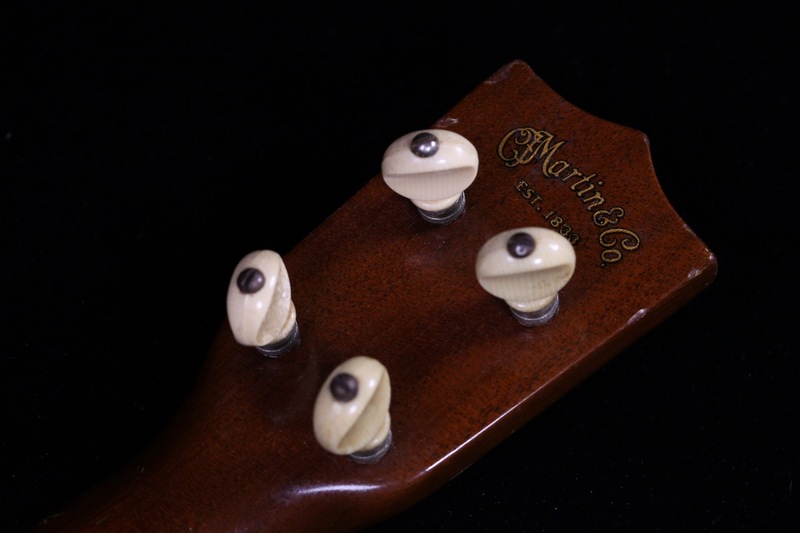 Martin & Co factory in Nazareth, PA especially for these prized instruments. 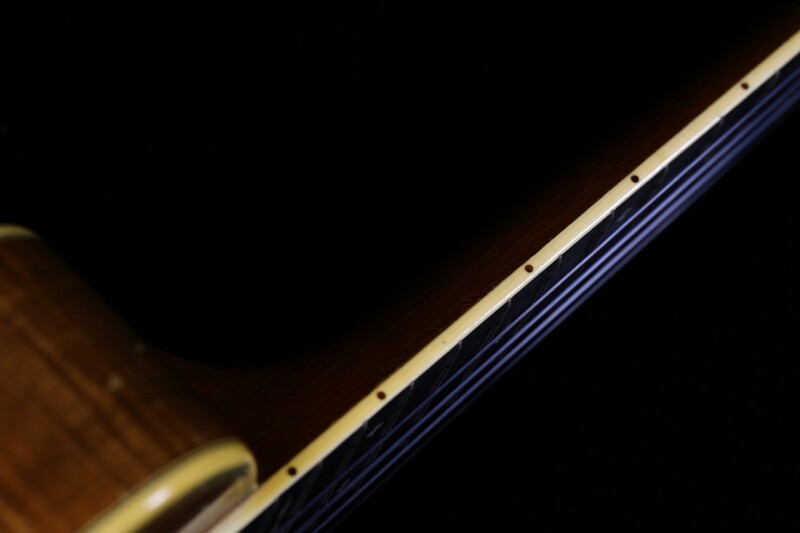 Rich jet-black ebony fretboard, ivoroid celluloid top and back binding, and matching celluloid bound fretboard and heel cap at the neck joint where the neck meets the body. 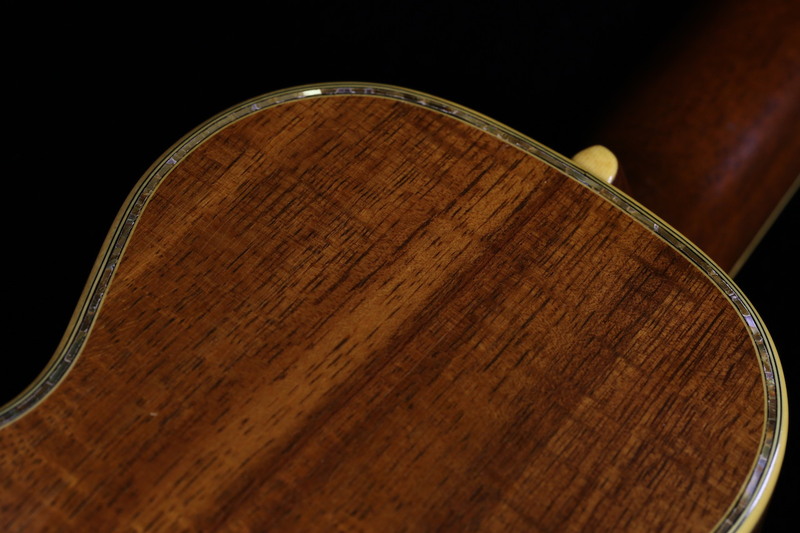 Abalone shell rosette inlay and detailed abalone purfling on the soundboard and matching back purfling. 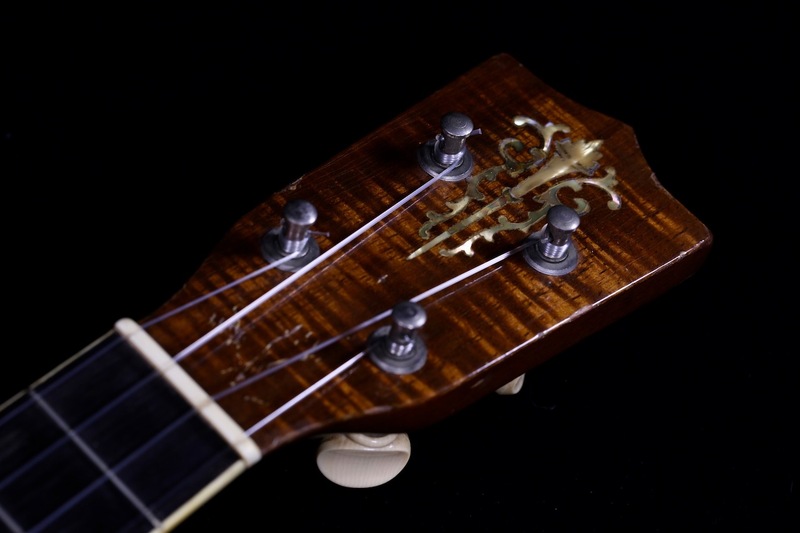 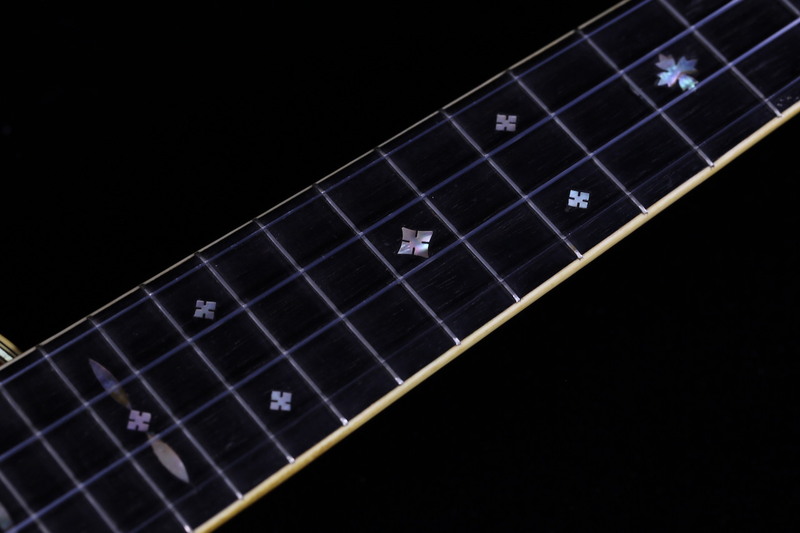 Abalone fretboard position markers and torch inlay on the headstock. 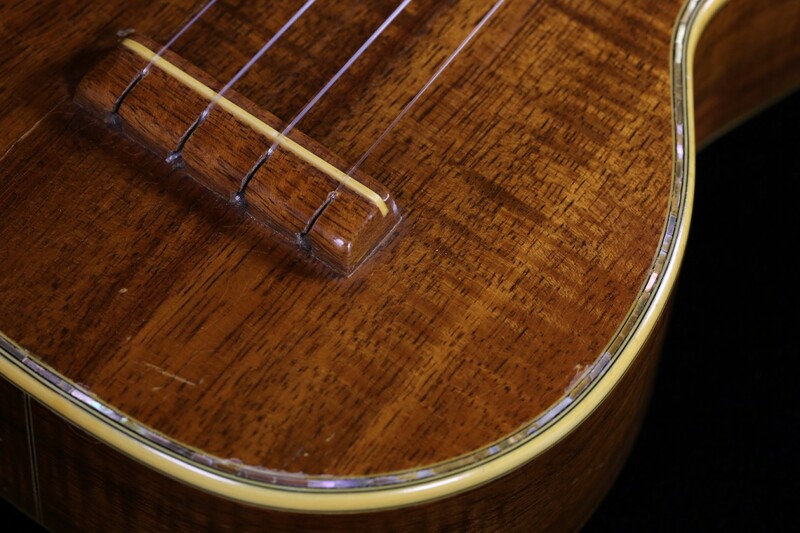 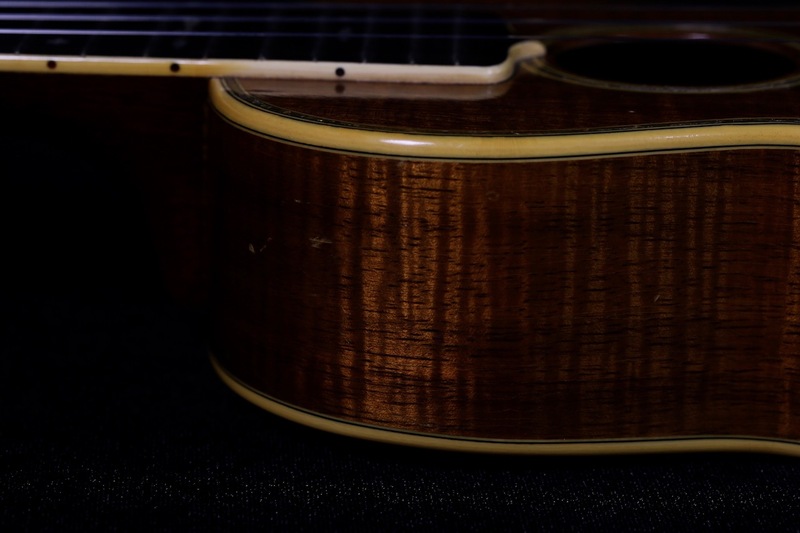 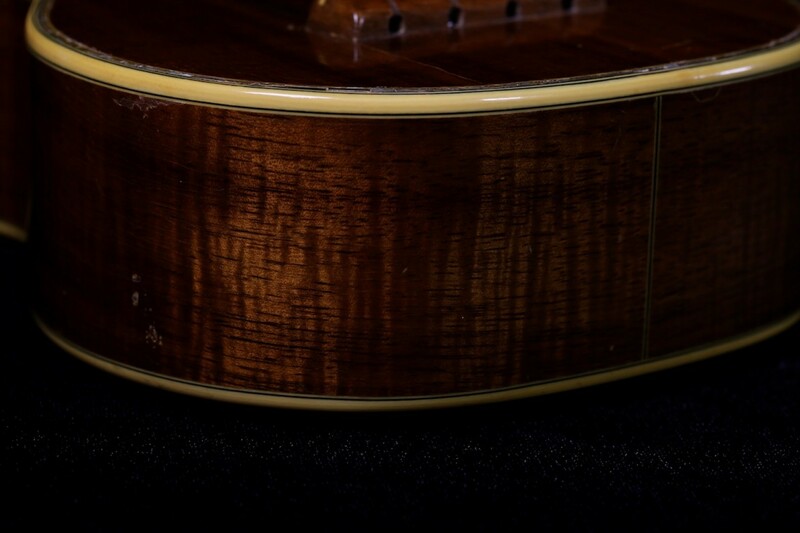 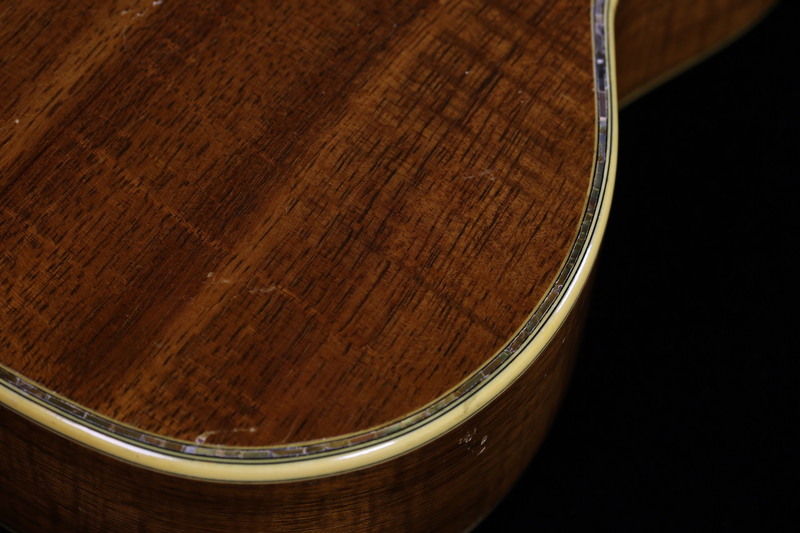 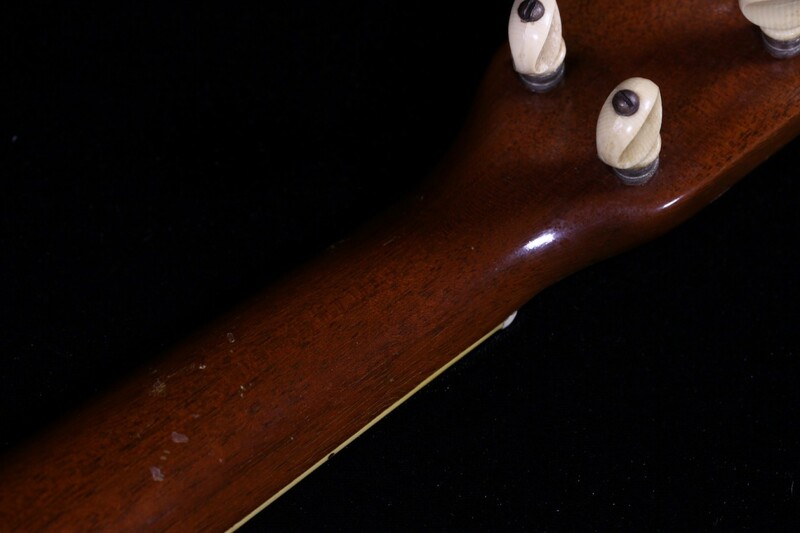 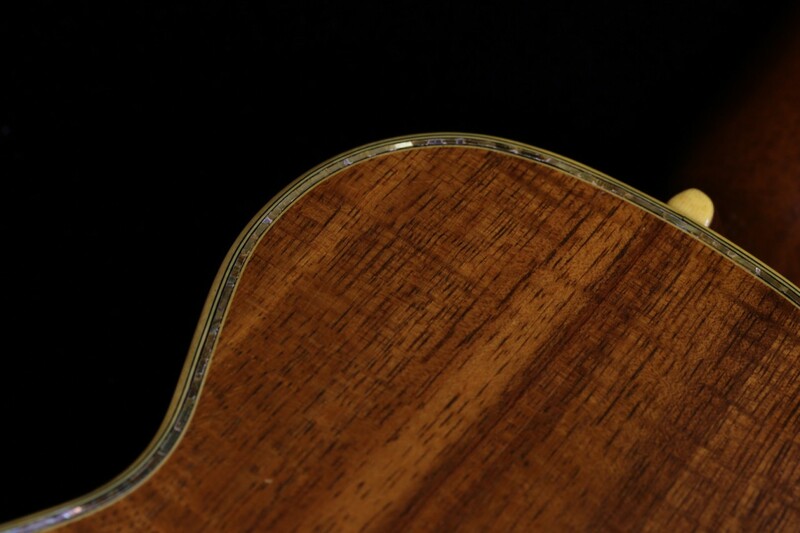 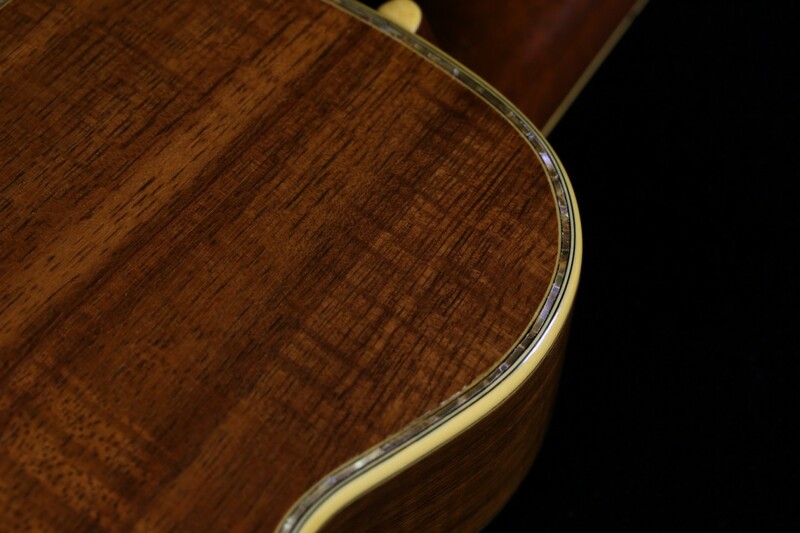 This 1930s Martin 5K has a hairline fracture on the soundboard (see photos) and maintains its original finish. 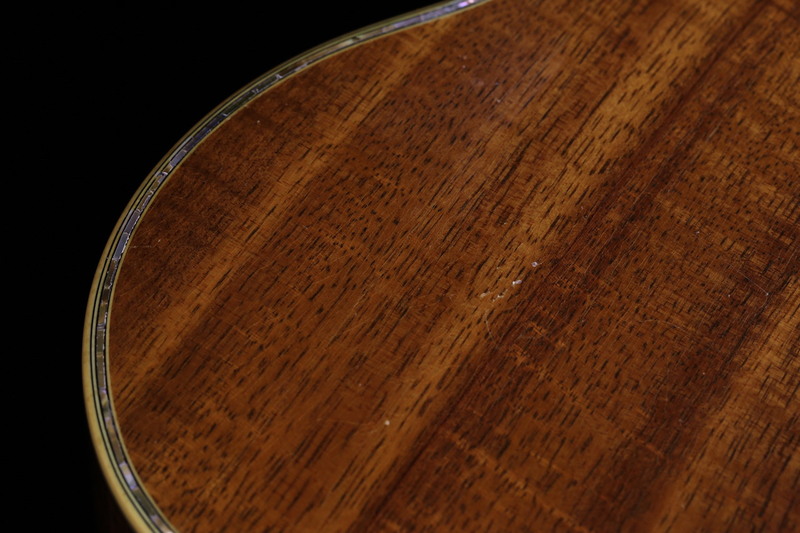 There remains fretboard wear, strum marks, & numerous nicks and dings that add to the character of this historical instrument. 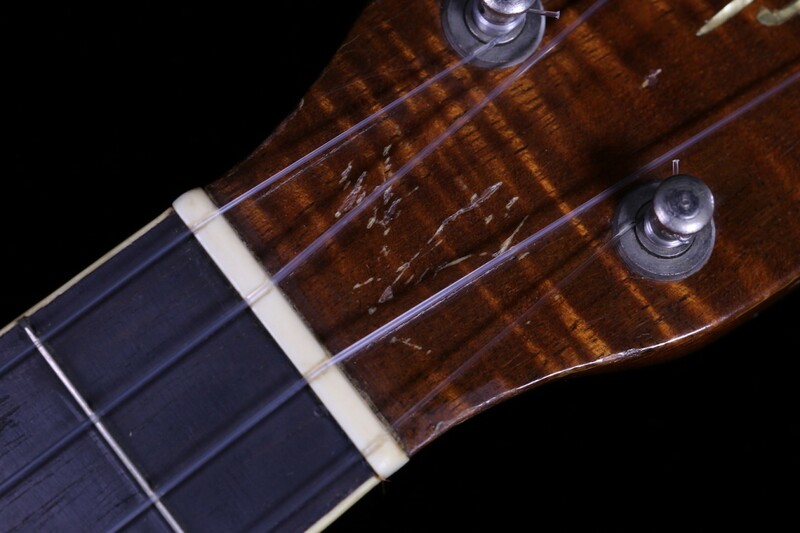 I snapped off a number of detailed photos below for your reference but feel free to email for additional information on the condition of the instrument.